Are you ahead of the game? Have you been planning for months? Maybe you’re scrambling and hopped on the internet trying to find something that you can throw together quickly but doesn’t look like you just threw something together. There’s still time to create a DIY gift – without spending a ton of money! Perfect for the frugal and last minute types alike!! Last year we did this last minute gift idea. I also broke our laser jet printer trying to make a canvas. It was sad. So many tears. Whether the Dad in your life is outdoors-y or a tech lover (or anywhere in between! 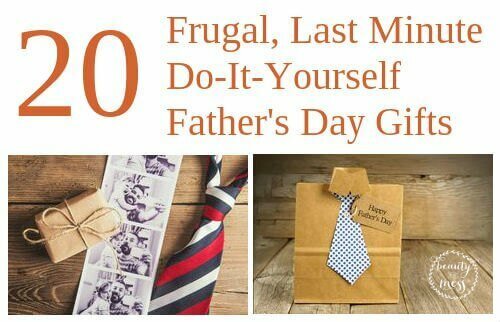 ), you are sure to find a gift idea he’ll love in this roundup of frugal, last-minute DIY gifts for Father’s Day. What are you best frugal, DIY gift ideas? I can’t wait to hear them!! Leave me links in the comments! Looking for books to read with your kids about Dad’s? 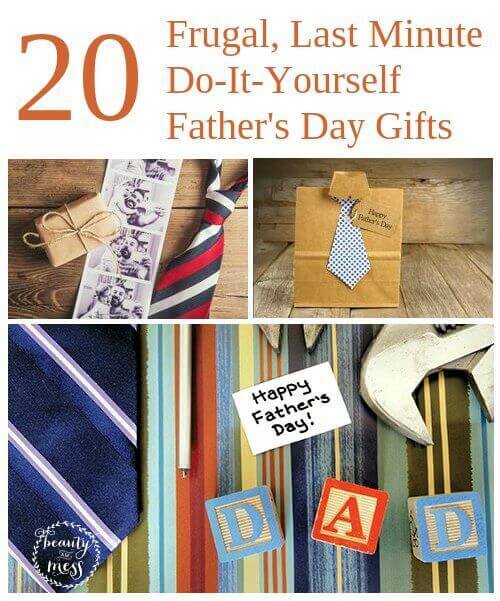 Check out these 15 books to help you celebrate Dad!